I have an idea which might be cultivated into a proper local business… if you are interested in hearing about it, please reply. Thanks for your reply. I am open to new ideas ! Let me know what you are thinking . Well, I am kind of paranoid of someone poaching my idea… and there are others I think would need to be involved from the start… so, maybe I’ll start with some personal background to give you an idea of where I am heading with this. I am former military and have just moved to Bloomington in the past few years. Before that, I lived in one of the most violent neighborhoods in Chicago. I was involved in property management and put in over a decade at the intersection of 55th and Ashland. The first building I was involved with was the big yellow brick building on the corner, later, a smaller, but older, building across the street. From the moment we started work, gangs, violence, addiction, drug dealing and a general breakdown in the fabric of the community became apparent cause of the misery and hindrance to any hope of change. However, in persistence to an ideal and long consideration, possible solutions began to occur to me. Strategies and activities which interrupted the stupefying psychology of the thuggery and addiction. Two things occurred to me, a life of instant gratification and perpetual insecurity were at the root of the destructive social patterns. It wasn’t lost on me that these same patterns were rampant, if less obvious, in the society at large. That these patterns were destroying our social fabric right down to the level of the family and rendering us all vulnerable to the imperatives of a much more resilient and persistent set of marketplace imperatives–namely, the devaluing of individuals in their employment and offering up of the workers and consumers interests to the imperatives of those entities employing workers and supplying goods and services. Two things being wielded against the very psychology of those wishing to find a place for themselves in the society were a diminishing need for participants and the quality of their participation–a take it or leave it scenario where we as citizens have less and less say. So, in this, there is created a need within the community. A need for mindful, and meaningful, participation, and a need to be recognized and to belong. Unfortunately, these are needs which render people easily exploitable, and therefore great care, attention and planning must be employed to answer these needs. And these needs, in the context of our marketplace society, must be met in a constructive and progressively meaningful way. I have been thinking about these things for a very long time and have a rough outline on how to grow an organization that would not only empower it’s participants, but would address the greatest obstacles to their emancipation from a life of vacuous consumerism and wage based depravity (this pattern of far off corporate headquarters opening big box operations to siphon out the wealth of a community by nickle and dime leaving skill sets barely beyond register tender in it’s wake). My ideas aren’t original… One growing community activities, initially around volunteerism, so as to train people how to work in an organizational structure cooperatively and to an end that would show a concrete communal product, into which these efforts would be pooled, to show and teach and serve as proof that we recreate the world around us from moment to moment–either through conscious participation or idiotic somnambulance. Mission number one, for such a march on the failings of our modern era of anomie, a community garden. No great innovation there, right? Wrong. The community gardens I have seen are overly structuralized and hack… opting to purchase a bed of flowers from a local vendor than to organically grow a space which takes into account the act of creating the space as much as merely pursuing an end product. I purchased a vacant lot across the alley from where I lived in Englewood–I still own it. A dealer, who used to let his vicious pitbulls roam free, lived there in a tiny house till the city got him out of there and tore down the building. The building was basically bulldozed into the basement and the lot collected broken glass, cigarette butts and what all else serves as jetsom in such a place for years. I actually sifted the dirt to remove the glass, I spent years tending the beaten clay into something that would support plant life. And as I did this, I would run the drug dealers, users, drinkers, pissers and shitters out of the alley. The kids on the block got used to stopping by from time to time just to see what was going on… every once in a while I would cook up hotdogs and hamburgers for whoever was passing by. It gave me a lot of room and clout to exercise my vision on the block. I grew pumpkins and let the children see their progress and gave them away at halloween… I grew strawberries and not only gave away the fruit but the little plants to others who planted them in their yards in the neighborhood… I put in flowers and began to trade gardening experience and wisdom with neighbors. Anyway, the kids would grow up fast… and it occurred to me that it would be easier to remember their names and family connections if I started to portraiture in the garden… Throughout the year there could be several different natural settings developed to serve as background. And as my ideas about neighborhood organization developed, I realized that chronicling the development and stewardship of the garden photographically would be a great way to grow a local history and participation in the endeavor. This is where you would come in. My ideas have grown much further than this, however, and I have a rough idea how to go about putting together a cohesive… long range plan. But I am doer, not an organizer, or a manager, or an accountant… etc,. So, I have been collecting in my mind the different types of participants we would need to move forward. However, one nut with no resources and a crazy vision is not enough… to pick up a third nut a second is needed. I actually have someone in mind for the third nut… a recent graduate in business administration. I also have a space in mind for the garden which we might be able to get donated to the cause… With these things put into order, we might be set to start phase three and four of the plan which I cannot go into yet. But I think you get the idea, I have been thinking about this for a long time, and no joke, I have several possible routes of growth in mind to meet any success. I will just close with two things. The history of struggle for people to gain back their sense of dignity and control of their own fate is one of a series of failures with an occasional triumph which has lasting importance. And… the highest pinnacle of human endeavor is artistry; and artistry is sinking ones abilities into efforts which will yield up one humiliating failure after another which the artist must look squarely upon devoid of pride and insecurity so that those failures serve as lesson for the next execution of effort, until, artistry is achieved. This is what I want to bring into the life of the community. I want people to stop fleeing from an ever more debased reality through arrogance, addiction, self-delusion and random viciousness in some vain quest for a sense of power in the midst of their powerlessness and to start taking steps consciously toward the creation and recreation of the world around them with those around them in a very deliberate way. I read your proposal and it sounds like you have a lot of passion ! I don’t think you have to be paranoid of anyone taking your idea – it sounds like a lot of work . As a member of the community and a woman of color, I share that concern. I would love to help you in starting your non profit (if that is what you are looking to do ). I would also be available to take some pictures in your garden, once its started. I am glad to read your reply. But I must add, I haven’t mentioned the part of my idea most immediately exploitable. It will require more planning and participation… so I will continue to suss these things out. For now, let me just pass on my email address to you. I will not be able to contact you once your craigslist posting expires unless you send, or contact me directly through, your email account. If you are eager to hear the other part of my plan… I would have to insist on a one on one meeting. It is easier for me to trust and impress the viability of the plan in person. However, you will have my email and may contact me at your convenience to see how and/or if things have progressed. I intend to try and recruit others to my idea in the attempt to start a critical mass with which to carry the plan along without my sole efforts being required to accomplish things. As I have said, I have some others in mind to help. ps I have started a garden as precursor to the one I envision… it spans several of my neighbors yards. If you are interested in seeing it and maybe trying to find some shots to take (it is still in it’s beginnings), I would be happy to accommodate you at your convenience. I would be lying if I said I wasn’t intellectually curious about the details of this “idea”. However, quite honestly, the only thing that you have declared is that you have a concern about social issues and that you would like to address it with a garden. Having a garden, as a community project, is nice on some level , but its unclear how it would speak to any of the issues you mention. Rest assured that I am a photographer. While I have some interest in community outreach. I am not a community organizer. I am not looking to poach your idea. Executing the idea usually turns into a lot of damn work for the organizer. It includes investment, fundraising, marketing, planning , not just photographs and gardening. Until I can understand more, I am not certain I have the interest. I would be willing to help you by taking photographs of this project, once its out of the conceptual phase. I would just need to better understand the purpose of the photographs ( marketing, fine art, brochure). I would like to confirm some detail of your identity or the project you are promoting before meeting. If you are not needing my services anytime soon, then let me know when you are. We can talk more then. Sorry if I have been vague… My long explanations were to give you some idea of the thought that I have put into this. My ideas are simple ones, when taken piecemeal, but taken together, they are intended to fulfill needs arising from a disintegrating social fabric. My idea is for a publication. One in which the stories of local institutions, families, individuals could be showcased throughout the year. The publication would take submissions from students, citizens, whomever would like to submit. The subject matter would follow stories and histories from the Bloomington area, and be accompanied with photographs. My idea is for a Bloomington Year Book. It could start by offering free portraiture for individuals and families… Once a sitting was obtained we would get certain information like physical address as well as email, From this a subscriber list would be compiled. Throughout the year CC emails would be sent with updates… With this local advertisers could eventually be obtained. A key feature of the yearbook would be the progress and participation of and in the garden. The garden would be planned to provide different backdrops throughout the year as different crops and flowers came into bloom. So there would be the constant storyline of the garden, in addition to various other submitted content such as I have mentioned. The eventual published book would come out at the end of the year comprised of the email updates. So there would be a pre-order system established according to the email lists form which commitments would be obtained. This of course would also carry advertisements and perhaps coupons from local businesses. It is the kind of thing which could take years to get off the ground but could become a repeatable template from town to town. I have other ideas on how to pursue this and how it could be evolved to generate greater participation, but if you are interested Maybe you should come see the garden I am working on. I am right across the street from Miller Park. Photography would be central to the appeal of such an endeavor. I would also like to talk more about the social engagement aspect of the idea… this too is important for bringing certain types of engagement from pillar community organizations. I have been thinking about this for a while now and there is a lot which could be further discussed–especially when it comes to recruiting others to participate. There are many ducks to get in a row before the first step. I am writing in regards to this brilliant idea for the family portraiture you conducted n the park today… However, I must ad that I am a bit disconcerted as well. Please let me explain. Years ago I was in the military… while there I found what a true community has the potential to look like. People all had time for one another and we collectively engaged in volunteer work for the local communities. In the wake of hurricane Andrew for example. I volunteered when Macon, Georgia was flooded so bad the entire place for miles around smelled like raw sewage and was covered with gnats so thick you couldn’t help but get a mouthful every time you spoke. I can’t tell you how many I ate when the soup truck arrived with lunch. But I loved it regardless… all of us who volunteered did. When I left the military, I found out how good I actually had it. I went from job to job where the degree to which you applied yourself to your work only convinced the boss you were a sucker to be used. In fact there was such an emphasis on trying to convince you that your work was useless that it deprived you of all morale… not to mention bargaining position–which was the point. It was the same pattern over and over… you would save money working 10 and 12 hour days and then the work would dry up and that bit you managed to save would dissipate maddeningly quickly. I finally started working with my brother and his wife, and even there, I would be cheated out of hundreds of thousands of dollars on a joint venture. I came to despise money for the things it made people do. And when in 2008, I had finally put enough money together to go into my own property… I could sense the time was wrong and that I was risking not only my money–and ability to draw a future loan for such an endeavor–but the money of those who would feel obliged to help me when the ship, so to speak, started to sink. I was finishing up a kitchen renovation I had done for a friend at just $5000… when I was sweeping up vigorously in the basement with a broom that had a shoddy metal handle. It snapped in my hands and gashed me pretty bad. I wouldn’t be able to work for weeks. I probably should’ve gotten stitches at the VA, but it was in the other direction from home and though I was only about ten miles away… it was already going to take me at least an hour to navigate the traffic. It was the last straw. Despite the eviction notices from my own brother from a ghetto attic in a building I had put money up for and years of work into… I took that last bit of money I had and removed myself from all connection with the outside world. That is aside from tending an garden in the lot I had purchased–in my name–across the alley. For the next year I toiled with my own studies and tending to the alley, lot and streets around my home there in Englewood. And I thought about all the things I was witnessing going on there and I thought about how these patterns could be reversed. I came up with many ideas and many different strategies to meet the various obstacles that I knew my plans would encounter. One of which being, that people had lost sense with the basic reality that we recreate the world from moment to moment and that we need not be cornered by our humiliations and failures into lives which were so meaningless and brutal that people were willing to sell those things most sacred to them merely for enough money to get that drink or that buzz for just that evening. The things I witnessed… I couldn’t begin to tell you. But I have to say that the reward for witnessing the worst of it was the ability to recognize what true miracles look like. Again, it is impossible for me to explain with any brevity. But suffice to say… suffering, not vain suffering for the worry over an unpaid bill or an ill prepared for exam, but true suffering… having to bear witness to the systematic brutalization and humiliation of an entire community… as so many just trying to forget their own personal pain and powerlessness through the expression of brutality and power over whomever they could get under their power… That is suffering on a biblical scale. And yet, by seeing these things… there is always eventually a light shone in the distance. It is by no mistake that the founding, most basic moral of the New Testament is that we must all bear witness faithfully. It is a starting point for sussing a way forward. And I have to say… no such way is possible for any single mind to suss–this is the mistake that Marx made; Lenin exploited and Stalin inherited. And today, even we in the west would denounce our own heritage, our collective cultural science of dignity, merely to pt ourselves on the back for our cleverness in saying that… [There is no God] and [Faith is for fools]. But I digress, perhaps… what I am trying to say is… I have a keen incite to modern history–the last hundred years being the greatest epoch in the accumulation of human history critical for understanding a way forward for human society. As of 1850, only 1 billion people had ever walked the earth… now there are more than 7 billion all here at once. What we do as individuals, what we do as communities… what we do as organizations is more critical than ever before. We need to have a greater perspective than the limited scope of the giants all around us, countries, corporations, influence peddlers, etc,… even as we seek fashion from that mustard seed something seemingly simple. All I want is to be able to offer the insights I have acquired… I can see very well in the dark but I am farsighted… the small things from day to day take too much of my time for me to possibly put into play the ideas I have… I have included a series of e-mails that outline some of the ideas I am talking about… but for me to go further requires much more discourse. Daniel Burnham said, “Make no small plans… for they have nothing in them to move the hearts of men [or women].” By having plans for several moves ahead… there are many advantages. Please let me offer my insights to your endeavors. I will forward a series of e-mails to prove that I have been thinking about this for some time and have made an effort to share my ideas and to enlist help in doing so. I am disappointed that I have not yet received a reply to my first e-mail. No matter, I imagine you must be busy… I know I am. I have been taking advantage of the weather. You see, for years now I have been preparing a proto-type garden or just the sort of outreach you are engaging in… That is, the idea that we both had for family photography in a garden setting. It is really strange that two people in the same community came up with the same idea at the same time… Well, I guess not the same time as I developed the idea years ago. You see, I began a construction project with my brother back in 1999. I had just gotten out of the military… and well, let me tell you that adjusting to civilian life is not easy. I’m not sure that I ever have even now. You see, in the military, you have advocacy; clearly demarcated realms of responsibility and expectation; and paramount in everyone’s mind is always “the mission”. So even though I was always lowest ranking, I found that if I had in mind the missions best interest and strategy for accomplishment… I could speak boldly even to the commander on the issue. There was, of course, a chain of command, but my point is the troop with the clearest head and best plan carried the day. And since I was a radar troop–tasked with maintaining and repair of ASR (Area Surveillance Radar), PAR (Precision Approach Radar), and weather radar–I had to be on my game. I’ll tell you, I could never enjoy a rainstorm while I was in. You see, the ASR supports civilian air traffic… and since I was stationed at Moody AFB, in Valdosta, GA, right at the border between the Florida and the rest of the country… Our radar was responsible for the safety of at least tens of thousands of travelers on a daily basis. It was what you could call a critical career field. I had tested pretty high on the ASVAB, had my choice of jobs and chose one of the hardest career fields in the Air Force. But electronics wasn’t for me. I preferred construction. Upon leaving the USAF in 1996–as a veteran of the first Gulf War and having served in theater at Incirlik, AB, Turkey–I planned to go into construction with my father and my brother. My father, also a veteran of Korea, had studied architecture under Frank Lloyd Wright… after a hiccup from his first employer, Holabird and Root, my father became disillusioned with the private sector and went to work for the government for 20 years at GSA. So he still had plenty of connections in the various career fields associated with building maintenance, design and construction. Unfortunately, my father developed lung cancer… which was misdiagnosed twice despite ex-rays he insisted upon having done. By the time he took those same ex-rays for a third opinion, it was too late. Amber, I really hope you never have to see a loved one deteriorate from such a disease, it is horrible. And for it to be one of the most important people in your life… I still have dreams where my father is still alive. We don’t even talk, just, in the dream, I know he is alive… and when I wake up and remember that he is dead… it can set the tone for the entire day. So the construction company came down to my brother, his wife and I. And our first big project was a fifteen residential unit building with six commercial units–only three of each occupied. For $42,000–with only $9,000 in the bank–my brother and his wife acquired the property at Ashland and Garfield in the neighborhood of Englewood, on the southside of Chicago. If you ever catch the news in Chicago for a week or two… you will probably become familiar with Englewood if you aren’t already. It is one of the most dangerous neighborhoods in the city. We went to work in earnest spending 6 days a week from 7 or 8 in the morning till 10 at night sometimes. Within three years we got an offer on the place for 1.3 million, but by then it wasn’t something you could just give up. We had seen and done too much for the place and the community to allow Walgreens to come in and tear it down for the sake of some shake and bake twenty year shack out of which to peddle sugar, salt and cigarettes. I could hardly begin to tell you the things we did and saw in that experience… it is literally fodder for a book. We would call the police on drug dealers out in front of the building and Kinnie, the guy who ran the local franchise, would show up in his Escalade with his body guards and run his boys off before the cops showed up. You see, he was letting us know that he had guys listening to all the cell phone traffic in the area, or that there was someone at the dispatch on his payroll, or both. He was acknowledging his respect for us by the degree of our obvious efforts… or someone had told him to lay off us. What we were doing wasn’t run of the mill. In fact, when President Clinton planned a visit to the southside to stump for Gore, we were notified that we were on a short list of 5 locations he might visit–a security measure to keep his actual destination a secret. CLTV had contacted us to do a newspiece, which we declined, We simply didn’t want any attention. Ashland is a major thoroughfare… and at Garfield, a major intersection, but in those days it wasn’t safe to drive through there at night. Guys would do a bold lean into you as you showed up in broad daylight asking you for .25 cents just to read by your reaction if they could roll you right there and then taking everything on you. You had to be ready for a fight at the drop of a hat. One night, I remember watching a kid who couldn’t have been more than ten years old, fighting with his mother, who only stood about 5′ 2″, he was pulling on her arm with all her might to get her off the street and she was swinging at him with deliberate feebleness–because she didn’t actually want to strike him–because he knew she was prostituting her self. I can’t tell you how surreal it was, how heartbreaking it was to watch this go down. I would like to say that that was the moment something changed in me, but I can’t, because there were dozens if not hundreds of moments which described the malaise when the poverty and brutality… the legacy of brutality seemed to relent for just a moment. I remember this drunk who had this look in his eyes like a lizard… he would hardly even look directly into your eyes, it was almost as though he was blind except he was looking everywhere though he only shifted his glance slowly and seemingly randomly. He was always on the lookout for an opportunity to scratch up a few cents for the next drink. And when he did deign look you in the eye, you saw a sudden hardness, like he hated you for having eyes to see him and for seeing him with them. His face would get a micro expression, that wasn’t that micro, of uncontrolled but simply lazy hatred that let you know that if it were worth it to him he would kill you. I saw him lie down after tiring himself hitting us up for money. He lay there in a narrow part of the alley between two buildings with his legs full out into the alleyway so that when a truck came through the guy had to get out after growing impatient honking at him and physically move him. The guy fought the drivers attempt and the driver got rough, but you could tell that drunk couldn’t feel a thing. You would see guys who would get beat up,once twice… over time they would deteriorate till you simply wouldn’t see them around anymore. That was before he began to get the news from the neighborhood of who was the latest to die. I had been living there, though, for seven years… that is the second time I lived there… before I saw someone actually killed. I had never seen anything like that while I was in the service. It was also in Englewood the first time I was shot at. I didn’t even hear the report of the gun… I heard the bullets tumble past my head like massive mechanical bees. And in the distance I saw several kids running. These are just a few of the things I can draw from the top of my head which got me thinking about the strategies one might employ to begin to change such an environment. You see, Amber, the photography was just one aspect of a much larger plan… or plans, really. But it was an important part. You see, Amber, it is hard to get people who are addicted to crack, coke, heroin, pot, alcohol… whatever, to take life seriously. They are trying to escape life… and at a certain point, there families give up on them… or gave up on them. Anyway, this is just a little bit of what brought me to imagine my idea about family portraiture, I wonder, Amber, how you came up with your idea? I am really eager to hear from you, Amber. Please, I think you can tell, that this is very important to me. In the meantime, I have many more stories to tell. I hope you aren’t too busy to get back to me about the NCFR. Thanks for reaching out to us after our family l event in the park last weekend. It has been great to hear your stories and adventures in life! We are a student group, therefore, are unable to allow individuals from the community to collaborate on our projects. My students determine what we do, where we go, and how events are carried out. We are part of a national organization dedicated to the betterment of families and work solely with other student groups within the state. However, I think organizations within your local area would be very grateful to have you donate time to their causes. This is even more important with the holidays rapidly approaching. You have lots of life experience that may help others to hear about. Best of luck to you in all your future endeavors! I think it might be better if we meet face to face as you seem to be deliberately ignoring the point of my concerns. I don’t intend to leave this issue to rest. you should understand the issues involved. Please do not stoop to the level of your students… that is not how teachers are supposed approach the issues of mentorship. I do not intend to let this matter rest and I would suggest you not take the issue of one of your students misrepresenting someone else’s work and ideas as her own. I’m not sure how well you’ve developed your reading comprehension, maybe I failed to get my position across adequately, but I have too much invested in my experiences and insights to let this go. And don’t fool yourself that this is going to go away. I am curious, Amber, did you acquire a grant from this national organization with this idea? I mean the one of free family portraiture in a park setting. I am contacting on a of one of your students having misrepresented an idea of mine as her own and possibly obtaining a grant with it. I am a veteran newly move to Bloomington in the past few years. Before that I lived and worked in one of the most dangerous neighborhoods in the city of Chicago, Englewood. I went there as part of a construction project to rehab an old building, but having witnessed the poverty and humiliation of the people of that community for decade and a half…. I slowly lost all concern for my own personal financial gain and began in earnest to wrestle with the affliction of destructive social patterns these communities faced. I saw and heard first hand the failure and co-option of supposed outreach programs by the very criminals which turned the self-destruction of their own communities into profit which was for the most part funneled out of the community. I could talk for two weeks straight about the first hand proofs of my observations in forming my insight into the failures of these communities and their relationship to the failures of supposed stable middle-class communities. I have put my own life at risk more times than I can count and continue to do so… in fact, I just returned from the neighborhood today where I was helping a grandmother move two of her cars onto h.er rental property safe behind a privacy fence that we had to remove a section of to accommodate the move. Why? Because a spitefull neighbor had enlisted a compliant police officer to ticket her car repeatedly within the span of a week. A car she can’t pay the registration on because she lost her CDL in an accident in West Virginia. Let me explain… West Virginia is a conduit for trucking supplying the northeast coast megapolis with much of its goods. I was just there helping another local Bloomington neighbor deliver some furniture to a friend in Rochester, NY after the death of her mother whom she cared for–as she was bed ridden–for the last 12 years. We took 80 there, but took 79 to 70 back which took us into the north west corner of West Virginia where we saw a private lodging, restaurant and roadside gambling complex which simply boggled the mind… as it was set up specifically to service the trucker traffic alone. Passing this roadside spectacle, a fleet of portolet trucks entered the mountainous roads all around us. West Virginia is one of the most dreaded routes for truckers as it is very dangerous… and rather than sending the trucking industries elite most experienced truckers there, they send the least experienced… like this woman I was helping today. She was willing to plead guilty to the ticketed infraction, but WV required her presence halfway across the country for trial to do so. Due to her absence, she was given a 30 day sentence and additional fines. You see, this is the level of my commitment to these communities and my knowledge of there plight. The issue at hand I think you should hear directly from Cristina Prestin-Lathem–as she is the student advisor of the student in question. I would go on, but I have only just returned home and need to get some rest… I have to send my friend in Englewood some information on obtaining free legal advice in the morning. I am not done communicating my problem with your student and student advisor or the damage they have done to my efforts. It is unclear to me from your email below what you are accusing our faculty member and student of, but please know that we take any accusations of wrongdoing on the part of students or college employees very seriously. If you are indeed accusing our faculty member or student of wrongdoing, please provide specific details so that we can investigate the situation. Please cease any direct communication with our faculty member and student and deal with the this matter through me to protect all parties involved. 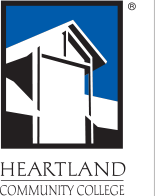 Note: Email to or from Heartland Community College employees may be subject to disclosure under the Illinois Freedom of Information Act. This communication is the property of Heartland Community College and is intended only for use by the recipient identified. If you have received this communication in error, please immediately notify the sender and delete the original communication. Any distribution or copying of this message without the College’s prior consent is prohibited. I do not intend to cease my communications… that is an absurd request, especially when I have appealed to you to look into the matter and given you the name of your own institutions faculty member with whom you may get all the communications you need to understand this issue… And you have made no statement to me to indicate that you intend to investigate the issue for yourself. Please make no mistake about how seriously I take this issue… I carry with me the memories and experiences of countless people for whom a cycle of poverty and exploitation has caused such suffering that they engage actively on a daily basis to remove from themselves their own God-given experience of the world because it is simply too painful to endure. I will not. I cannot allow those memories, or my attempts to address and convey the import of that suffering to go unaddressed, exploited by or cast aside by a rabble of suited place holders at a third rate institution seemingly intent on producing the next generation of self-serving hypocrites utilizing the expression “community service” as a bullet point on a resume. Please read the communications I have sent and make a determination on the seriousness with which I am concerned over this issue. Do not make the mistake of thinking I will be handled like a door to door salesmen or that public service is something that requires an acronym and organization. If you want this issue, if you want me to quietly go away… I assure you I will not… until I am satisfied that you have, as you say, taken these accusations seriously. Your response does nothing to convince me of this. Your communications with Dr. Diel-Hunt have been forwarded to me. First, I would applaud you for the work you have been doing to help those in need. Your emails suggest to me that you genuinely care about your community and those in other communities who are in need of help. Thank you for that. I would be happy to address this issue with you if you would provide me with some specifics concerning your grievance. Your previous communication references a student who you believe has “misrepresented” an idea of yours and possibly received a grant as a result. However, you do not identify the student nor give any indication of the nature of the idea or how we might ascertain that this idea was in some way plagiarized from you. I would be happy to follow up on this issue if you will provide me with information that will make this possible. Simply providing me the name of an instructor and no further details is insufficient for me to take any further action. I also must restate the request from Dr. Diel-Hunt that you address your concerns through me and refrain from contacting either the student in question or the faculty member. This request is meant to protect you from any allegations of harassment that could result from direct contact. If you communicate through me, we can avoid that and hopefully resolve your issue without creating further complications. I look forward to hearing from you with more details concerning this situation and to a quick resolution of the issue. First off, you do not inspire confidence in your ability piece together the threads of a story. Either that or you are engaged in a deliberate obfuscation of my concerns in an attempt to diminish their importance. If the latter is the case, it is obvious that you would be relying on your title and position to grant you the authority to dismiss my concerns as unimportant. this is a common bullying tactic used by people who close ranks within an institution to mitigate possible blow-back when facing criticism of the conduct or policies of their institution. Such as, putting a child out into the community in the capacity of outreach with people who’ve experienced if not outright exploitation, than the humiliation and brutality that the working poor and impoverished have suffered. You are putting into a position of condescending authority a child merely to bolster one of your student’s resume of experience so that your institution might make inroads into the industry or profession pursued by that student for the sake of the reflection cast back upon your institution. You have a created a situation where it is against your interest for this student to come clean of any wrong doing for the stakes taken on by your institution. If she cannot answer for her own conduct, she has no place heading such an effort. This situation is of your creation, and I assure you this is no passing fancy on my part… I am not using some slouching towards public service as entrance into another career such as photography. And if your student is indeed guilty of stealing this idea… you risk sending her out into the the marketplace with the ethic that it is alright to lie, cheat, steal and exploit to carve out a career for yourself. And if you don’t think that the expanse of time will reveal the truth of the matter despite any direct denials, then you aren’t a capable of serious thought. I have little doubt that if this student did pursue a career of supposed philanthropy upon the basis of theft and lies… it will only end in scandal and humiliation for her, any organization that affiliates with her… and now… with your institution. Whose conduct in the handling of this matter will determine the degree to which it should be held responsible for the part it has played in the inception of her career path. My offer to assist you was sincere. However, since you refuse to provide me with any details as to your claim and instead resort to a personal attack on me, I will consider this case closed. If I learn that you have had direct contact with my faculty member or the student, I will initiate legal actions. As you are not a student with this college, I am also banning you from the campus. If you have a legitimate reason to be on campus, you must first seek approval from me. Failure to do so will result in legal action. I was working a job once, I was picking up thirty double sheets of 5/8″ drywall. It was the beginning of the day and there was plenty to do after delivering this load to the jobsite. I jumped from the driver’s seat at the loading zone of the Home Depot and slammed the door rushing to begin loading when I was stopped short… My thumb was lodged in the car door. I had to preform the difficult task of removing my car keys from opposite pocket and crossing past my own body awkwardly to unlock and release myself. I loaded the drywall and got to the site where I, myself now, carried much of the load up to the second floor. I worked the rest of the day unaware of my thumb… until that night. I didn’t sleep a wink, I took aspirin, but lay awake all night in bed every moment focused upon the throbbing pain in my thumb. I feared the cost of a visit to the emergency room and kept thinking that in one more moment I would fall asleep. But I never did. The next morning the sun came up and I had to call in to work that I was utterly exhausted and simply couldn’t go. I took the dog to the dog park where I met an emergency room nurse… to whom I excitedly explained my condition. She responded brightly, ‘Oh, we get that all the time in the ER, we puncture the nail with a cauterizing iron and it relieves the pressure and the pain immediately. As soon as she said this I could feel the truth of it. I thanked her and ran nearly the entire way back home. I heated a safety pin up on the stove till it was glowing red and eagerly plunged it into the back of my nail… the relief was so profound and instantaneous that I immediately plunged the pin into the nail twice more for good measure. I could hardly make it to the couch where I collapsed for a good 18 hours. Have you ever felt that kind of rest? Have you ever needed that kind of rest? It is the kind of rest from which it just isn’t pleasant to wake. I want to tell you something else, though I have little doubt you will believe it, but at this point I am no longer writing for your benefit alone. We are not in a court of law, so your burdens of proof don’t apply. I have no doubt that Amber has every capability of admitting to what she has done. After all, she had enough vision to recognize the value of the idea in the first place. It is my sense that she is not unlike anyone entering into adulthood. She plays at dalliance with those last vestiges of her juvenile self. It is my sense that she is worried about entering the marketplace for a job, where workers are showed the valuelessness and the ease with which they may be replaced as a matter of constant course. Even the Unions have devolved into a guild-like protectionist stance… guarding the best jobs jealously through campaigns of exclusion rather than pooling clout to ensure a fair shake for everyone entering the marketplace with an honest desire to exchange the wealth of their labors for a chance at a life worth living. Instead, there is a constant culling which takes place excluding anyone with enough back-bone to speak up from having a place on the job. The result is a slow genocide which favors the compliant and stupified. There is a science fiction book, Hyperion, which casts this pattern in stark relief. It takes place on a grassland planet where ships sail brown seas of waiving grain, and a mythical creature that moves too quickly for the eye to see, called the Shrike, appears out of nowhere and for no apparent reason to embrace any trespassers approaching a protect community of humans who have devolved into a toiling senseless colony of mongoloids. In Englewood, I witnessed a pattern in various forms of manifestation. I had a bicycle which I locked up in a way that wasn’t readily apparent in the courtyard beneath my apartment window. I was testing to see if I could leave it chained up outside because it was difficult to find a safe place inside to leave it. When I heard the chain link fence rattling I looked out to see two older men, older members of the gang in there 60’s, and a young child trying to pull the bike loose from the fence. I started yelling down to the child, who couldn’t have been older than 6 or 7, “Hey, what are you doing there?” He looked up wide eyed and innocent… “I want this bike,” he replied simply, honestly. I laugh even now at the absurdity of it, “but that’s my bike!” And the child gestures at the two men who were at that moment ambling away, “but they told me I could have it.” I said, “don’t you believe them when they tell you you can take other people’s things… now go home before I decide to go tell your mother what you’ve been up to!” To this he went wide eyed and ran off. Now I have little doubt that Amber can recognize the truth when she hears it… and I have little doubt that she has regard for your authority, thus far… and I am sure she has the strength of character to weather the shame of admitting what she has done… and deciding how she wants to take those next steps into her adult life. If you were truly concerned with the truth, she would confide it to you. If you truly had her best interests at heart, you would not usher her into her adult life upon a theft of this sort from someone who… well if this issue continues to escalate… which I assure you I have every interest in seeing that it does and every ability to see that it does–in fact, you are moving further and further into my guard with every hack-juvenile response to my concerns–when this story reaches enough ears… those whom I have met over the years, those whom I have spoken to and helped as perfect strangers never to be seen again… will come out of the woodwork and testify to my deeds and character. Even those who’ve attacked me and done me wrong–I assure you. There was a fellow, Calhoun (I guess a last name), from Virginia, I think… at the Goldstar Bar in Wicker Park–at Damen and Division, in Chicago–didn’t like me voicing my opinion on some matter or other… so he took a swing at me. Now I am sure the guy was capable of laying me out, but his heart wasn’t in it and I swept his attempt aside easily. Others stepped in and pulled him back and sat him down. Later, he came up to me to apologize and but descended into a snarling, “but just keep your f***ing mouth shut!” To which I took to my feet and to back him off and from which he took another swing at me… this time much more easily brushed aside as I saw it coming. Despite this, I found that I had an affection for this guy. I could understand his rage. I learned later that he worked as a coach driver near Water Tower Place… Can you imagine driving rich @**holes around all day in the freezing Chicago winter for barely enough to survive?! Being stuck in that job because it simply robs every ounce of energy from you?! I understood this guy’s rage, and I also understood that he simply couldn’t muster the conviction to take a clean shot at me. The next week, a couple of @**holes came into the bar and put their names up on the board where we were playing pool. I think they had just come from the casino and they were pissed. They were showing their contempt for everyone around them with almost every move, every gesture and who is the first to step up to ’em and call ’em on it? Calhoun. I sat by watching and smiling at thought of jumping into the fight on Calhoun’s behalf if these idiots developed the nerve to really get into it. They didn’t at that moment, but it wasn’t long before they tried to push a couple of girls, physically push them, off the table when their turn came up. The smaller of the two immediately began throwing punches when the barkeep interceded and was tossed to the ground at one end of the table where there were now two barkeeps trying to sit on him. The bigger of the two guy’s began to move around the table and I stepped into his path with my hands spread low, palms up in a gesture of resolve and pleading, offering him the first unguarded blow. He rolled his eyes at the indignity of his situation and complied with our desire they cool out and leave. He walked willingly through the front door and his buddy was tossed out ignominiously out the back where he found himself locked out in the alley. I am sure all Amber wants is some assurance of a future for herself. She wants the good attention of those role model’s charged with her education and indoctrination into the adult world of the marketplace. She cares much less about public service than as a demonstration of her desire to do good, or at least of her willingness. I will even give her a business idea she could make money off of almost immediately. It came to me when I worked for Van Gogh Studios doing child and family portraiture in the home–based in Westchester. I was given the southside as my territory, and more than a couple of times i came across the same request… that I use computer imaging to merge a lost child into the family portrait. People were willing to spend hundreds of dollars for this service… I simply couldn’t bring myself to commit myself to an activity so requiring of personal application without being personally inspired to do so. I simply wasn’t capable of it… I am too soft for such work. I am sure that a national business could be set up to this end which would bring in big bucks… Memorial Portraiture might be a good name for the website. She could schedule sittings in communities all over the country and travel as she liked. But she should do it, not some unknown national organization she has no idea about the running or agenda being pursued! Pretty names do not make an organization benevolent… look up the origins of the Joy Division in the ’30’s and ’40’s German army… there is little joyous about it. Or look into the origins of the characters, Sherlock Holmes and Dr Watson in the persons of Roger Casement and E D Morel and King Leopold II’s International Association for the Congo. I will not allow my ideas to be used to push agendas counter to those values for which they were intended. I can take one on the chin… and much more. I’m tired, and this issue has robbed me of my sleep… and no mere cauterizing of my thumbnail will resolve my suffering. I don’t have any illusions about your interests in this matter, you are proving that Amber’s conduct isn’t merely aberrant… that she has rightfully intuited the values of her role model’s at your school. This issue is not going away… and you are over-matched. It hasn’t even occurred to you who might come out of the woodwork to confirm Amber is the one behind the ad should this issue continue to escalate. And until I have satisfaction that this issue has been addressed with seriousness and sincerity… I will see that it continues to escalate. I never have to visit your campus to see to it… I could merely take up a seat next to my brass buddy, Lincoln, in downtown Bloomington… I can find someone else to take the pictures. And these communications will stand as my witness. So go ahead and ignore them all you like, others will not and you will answer for them one way or the other. In the 140 years before Christ, there had been three major slave uprisings. Between 10 and 80 thousand slaves brought to the brink of what they were willing to suffer in life decided that a death on the battlefield was preferable to a life enslaved. What was it that they faced? A life where the sanctity of marriage did not apply to the slave… where ones children were toys for the perversions of their overlords… where one toiled to increase the power and standing of their own oppressors. These slaves rose up and made soldiers of themselves and armed with the intimate knowledge of a fate worse than death vanquished the Roman legions from their soil. However, their victory was short lived. Within a single generation the Roman legions reasserted their dominion over these people. You see, the Roman military regime was central to Roman culture, where as to these subject peoples, this militancy simply wasn’t central to their cultural identity. They could not beat the Romans at their own game because they refused to make Romans of themselves. When the Romans returned they found those among the next generation who had no direct memory of what slavery was. The Romans played upon the naivete and ambition of these children born free of the Roman yoke. The men of importance, the weapons caches, the feast days and grain stores, the internal squabbling… all of these secrets played to the Roman agenda and once again these peoples were returned to a status of slavery with every tenth man pinned to a cross to line the roads for good measure. Carlyle said that, [all wisdom derives from love]. (Forgive me for not looking up the precise quote, I am more of a ‘spirit’ than the ‘letter’ guy.) Carlyle also said, [bury your knowledge in a cave and you will find its root in hell]. Jesus–whether the literal son of a celestial on a golden throne in a gated community in the clouds, or not–saw clearly the forces at play within his own society, no doubt because of the clarity and simplicity of his heart. He recognized that Caesar’s power rested upon the premise that Caesar was right because he could deliver his legions to your shores and borders. He also recognized that his own elders propped up their own “divine” authority though a meticulously attended tradition. But Jesus recognized that to show one’s desire to honor God, one must recognize the inherent dignity of his creation–whether Jew or not. And I believe he recognized the dialectic of a worship of power, embodied in the capitulation of the followers of Caesar, and the worship of God, in recognizing the inherent dignity in his creation. Armed with this, Jesus found a way of drawing the battle lines in the fight against earthly power and the slavery of man and the pursuit of God’s Vision… and… without engaging the Roman legions on their terms. As of 1850, there had only been 1 billion human beings to walk the earth throughout all of human history. There are some interesting things we can derive from this simple fact. First, all of the situations from history which have come down to us in our telling of the past are more likely to be archetypal in their nature. That is, they tend to reveal the essence of patterns recurring in our own day. Recurring patterns which sometimes become obscured by the sensational embellishments of details which distract from these more pressing central truths. I grew up believing myself to be an atheist n the post-punk culture of the Reagan-era. But I was fortunate, my father who had been orphaned at a young age, became well assimilated into our society at a time when the world was beholden to the US not only for having won WWII, but being the only modern nation on earth with its industrial capacity and infrastructure not only unmarred by the war, but polished into a finely honed state of refinement, the likes of which the world had never seen. It is said that there were no reliable estimates of how many engineers were required from the colleges and universities because the need for them kept expanding seemingly without end. The wealth flowing into the country through commercial contracts and the extension of reconstruction loans was such that the Great Depression, which had still been raging before America’s entrance into the war, had been decisively ended by the post war boon. There was so much wealth floating around, that the modern middle class as we once knew it, was born. Unfortunately, along with that modern middle class… and an investor class leveraged by a new marketplace elite, as a political constituency to guard its seizing of an inordinate amount of that boon. Eisenhower oversaw an explosion of infrastructural works that employed tens of thousands. But by the late sixties, these investments and the quality of the kind of work going on had already begun to falter. One sector of the society had grown used to a cadence of increased share taking while the other felt the tightening of the belt as the amount of share available for the taking, dwindled. from 1970 till about 1999, with the growth in the economy and the cost of living and the relative stagnation of wages… the average worker had lost 30% of earnings. Meanwhile, by 2002, the average CEO was making 400 times that of the average worker. This is while the cry from the right that, [welfare is a drain upon the national budget] … was in deliberate obfuscation of the fact that social welfare comprised only about 1% of what corporate welfare levied from our collective coffers–that is not hyperbole! If you aren’t willing to watch these documentaries… you have no business posing as social activists, especially if it is to leverage oneself or one’s students into a career in a profession apart from social work… especially if these efforts are made through the theft of another person’s ideas and organizational plan. That simple. This entry was posted in Uncategorized and tagged Amber Baer, Bloomington Normal, Chadwick, Charles F Jurgus, Heartland Community College, National Committee for Family Relations, NCFR, Normal Il, Rick Pearce, Shannon Monaghan on November 22, 2017 by cfjurgus. Ever live a life that’s real? Full of zest, but no appeal? Ever feel that you’ve been had? Had so much that you turn mad? those you turn to, you bring distress? That turns so loud, you start to scream? And play all the parts and set all the scenes? Ever think you’re smart and find out you aren’t? Ever play the fool and find out you’re worse? Ever see a couple kissing and get sickened by it? And then realize you’re one too? This entry was posted in Uncategorized and tagged Heartland on November 20, 2017 by cfjurgus.